Andrea has spent her life so far observing the people around her, never getting actively involved in anything. But after her homeroom teacher commits suicide and she starts dog-sitting for an eccentric dying woman, her life begins to change. Eventually, she starts questioning her assumptions about high school cliques, her abusive Mom, and what she wants from life. Well-written and occasionally engaging, this book is so busy being a "modern novel" that it never really tries to tell a story. I found it maddeningly difficult to get through. The usual culprits were at work: half-developed ideas scattered throughout the story (why do contemporary writers of adult fiction think this is a good style? And why do they think it will translate to YA?) and far too much noise. I give her high marks for busting the snobby cheerleader archetype, but beyond such good ideas, this story left me high and dry. 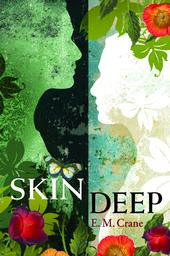 I totally disagree with you on Skin Deep. I found the characters well developed; even the minor ones glow. The multi-facted storylines connect well. Not a scene or word is wasted. The author raises provocative issues about what it means to live and what it means to die. Read it and know that is well worth your time.